Located 8 miles South of Lakeview and at the North end of Goose Lake is the meticulously well kept Amsbaugh Ranch. The ranch consist of 3558 continuous deeded acres. Over 1900 acres of water rights certificated from Thomas Creek. Thomas Creek provides year round stock water and irrigation for the ranch. 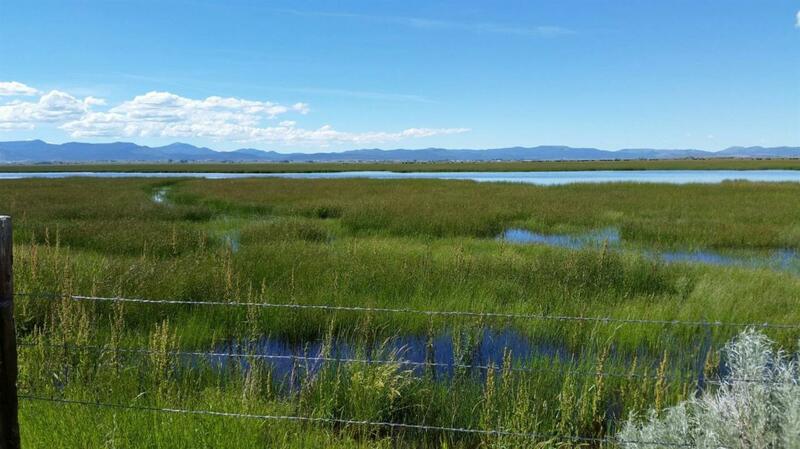 There is over 1400 acres of flood irrigated pasture lands. Ducks Unlimited has participated in improving the flood irrigation system with a main diversion dam, drains, and secondary diversion points. There are 6 Artesian wells. The ranch is fenced and crossed fenced into eleven pastures for a perfect rest and rotation grazing plan. The ranch is capable of running 600 cows for approx. 7 months Spring through Fall. The shop is 40x60, There is a sheep barn and corrals. The Amsbaugh Ranch is surrounded by incredible mountain views, endless water, hay, and wildlife. The property is setup for you to build your dream home. Brochure available upon request.